I got this polish in the mail today and had to try it on immediately. I said "oooooh" out loud as soon as I opened the package! 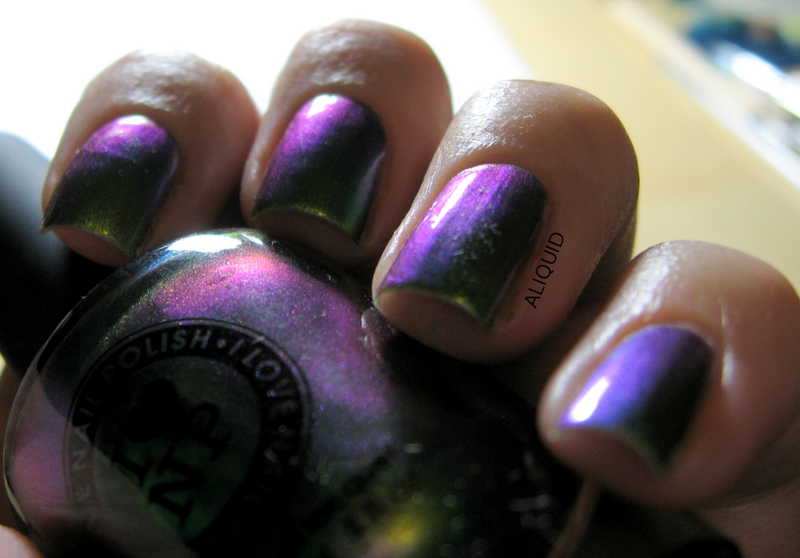 Mutagen is from I Love Nail Polish's new Ultra Chrome collection; it's a metallic multichrome that -- well, I'll let the pictures speak for themselves. I tried to capture as many nuances of the color shift as I could (I don't think I succeeded 100%). Prepare yourself for a wall of photos! Just to make things even better, the formula was pretty much perfect. It didn't drag at all like I was expecting, and it was just the right thickness. 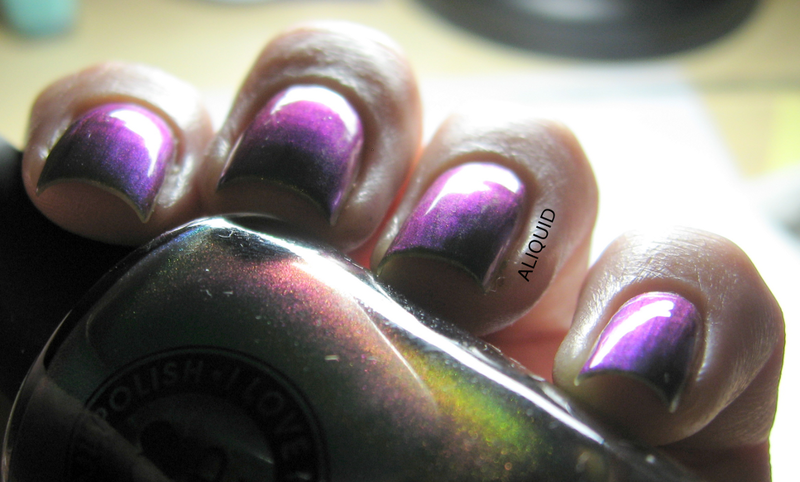 You can see some brushstrokes and ridges just a little bit, but for a metallic polish that's not surprising. I only needed two coats with no base color. Obviously I can't wear Mutagen very long on my left hand, thanks to the 31-Day Challenge, but I'm going to keep it on my right hand as long as I can! Mutagen is currently available at I Love Nail Polish ($12.50 for 12 ml), but the collection has been very popular so it might go away quickly! 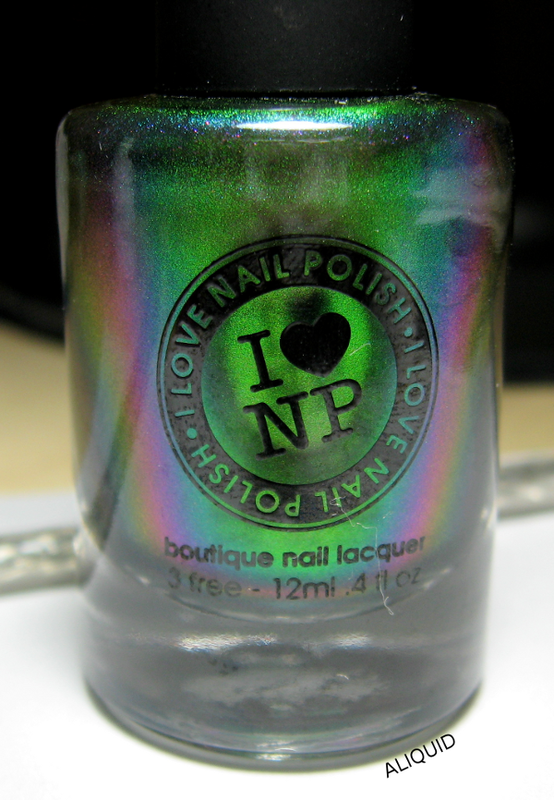 ILNP is 3-free. Very pretty. 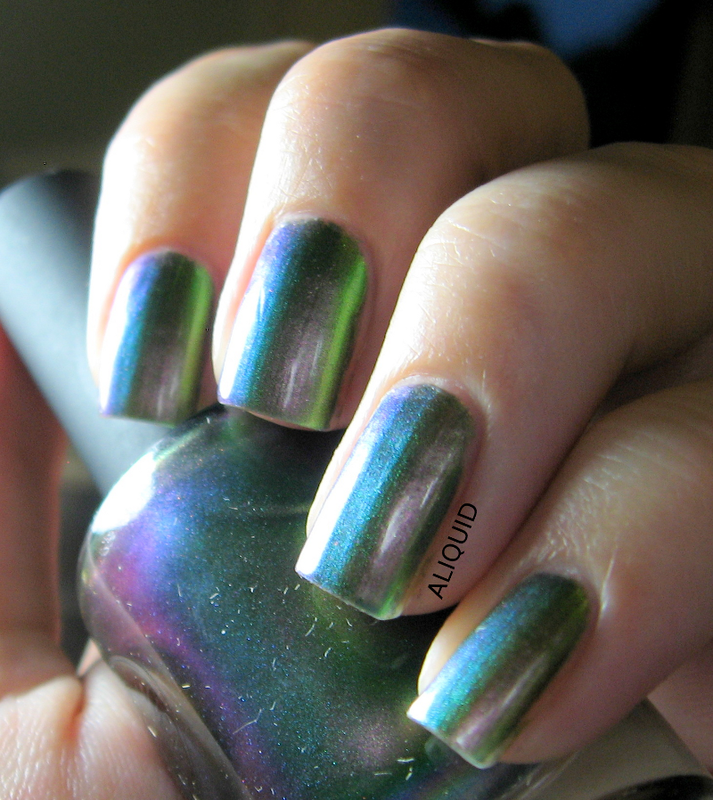 Although I love the multichrome ,the color on the 4th nail pic down is especially gorgeous! I got mine in the mail today also! I put it on in the car! I have to say that I am very impressed with the brand. I love the packaging and I love the rubber handles on the bottles. The polish is perfection! I got three of the four and I am so excited to try them all I will definitely be buying more polish from this company! I agree, the packaging and bottle are great and professional-looking, and the formula was perfect! Oh my word - WANT! I see they ship internationally - am hoping it is not stupid silly charges! I hope for your sake that's true! It's easy for us Americans to forget how easy we have it when it comes to getting a wide variety of brands!